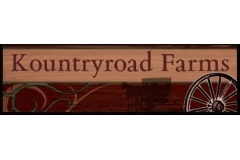 At Kountryroad Farms we raise and sell farm fresh duck meat. Our ducks are raised on a small Mennonite farm located in southern Ontario. All of our animals are grain fed. At Kountryroad Farms our animals are growth hormone free because we believe it is important to serve our customers with a healthy choice of meat.